Just over a month before Melissa said "I do," she dressed up for Bridal Portraits at the National Museum of the Marine Corps. The venue offers a variety of looks, from a traditional chapel to a modern museum and scenic wooded pathways. 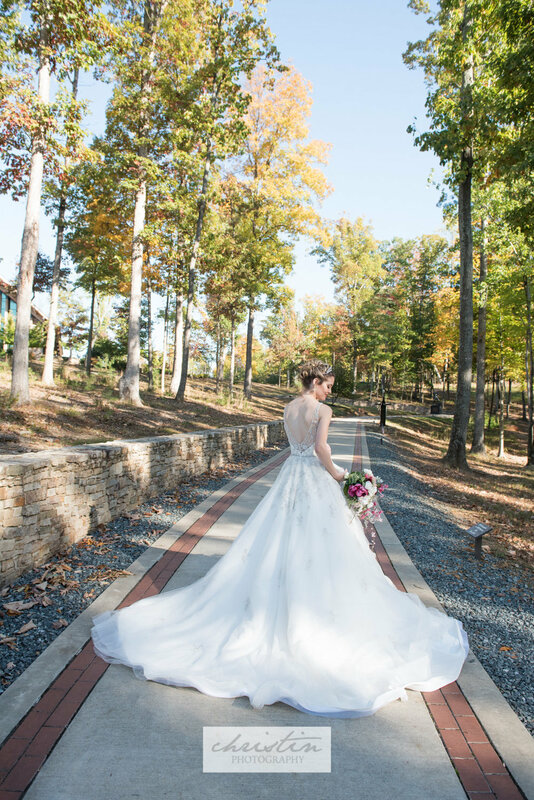 Melissa looked perfectly stunning on this beautiful October afternoon, with bright sunshine and deep blue skies. How about the beading and flowing train on her Ava Laurenne gown?